Like clockwork, the next expansion for World of Warcraft is out. Battle for Azeroth marks a return to the intense war that filled the Alliance and Horde’s early history. Players can look forward to two new islands to quest in, new Allied Races, the new Island Expeditions PVP mode, the new Warfront PVE mode, and the new world PVP system. Tensions between the Alliance and the Horde have been coming to a boil over the last two expansion packs. Sargeras’ sword strike on Azeroth has left the mysterious and potent material Azerite scattered across Azeroth. The Alliance and the Horde are now locked in a deadly battle to control the material, refusing to trust the other side enough to share. Since a common enemy no longer exists, the two sides are now turning on each other. The once peace-seeking Jaina Proudmoore is fully committed on her path of vengeance against the Horde, willingly returning home to Kul Tiras in hopes of convincing her homeland to lend their strength to the Alliance. 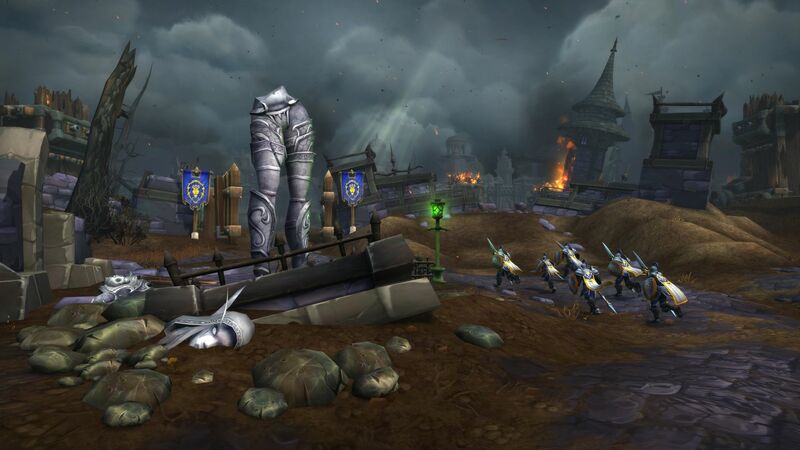 Sylvannas Windrunner and the Horde have opted to ensure the Horde’s survival by striking at the heart of the Alliance, razing Darnassus and sacrificing Undercity in hopes of dealing a crippling blow. Her plan fails, and now the Alliance and Horde are returning to all out war. Kul Tiras and Zandalar are the two new zones for the Alliance and Horde respectively. As a Horde player, I am impressed with Zandalar. The Trolls have often fallen on the wayside, becoming an afterthought to the more prominent Orcs they share land with. The cultural richness of Zandalar makes me wish Blizzard paid more attention to the Trolls sooner as the Zandalar is one of the best zones Blizzard has released in a long time. The voodoo-based culture sees a rich expansion with the introduction of the Loa, spiritual beings that are very much human in behaviour. The Loa have rivalries with each other, engage in conflict, and generally buck the dull trend of the usual benevolent all-powerful deity. I am not a huge fan of the overall direction of Jaina Proudmoore and the Horde. I feel Jaina’s path towards violence feels a bit forced for story purposes. While Sylvannas Windrunner’s behaviour is perfectly within character, I worry that the Horde is slowing being reduced back into the easy bad guy from early Warcraft days. While I have my concerns with the overall direction of the lore, the expansion is generally well written. There are a lot of standard “kill 12 wolves” type quests, but the smaller storylines in each questing area are usually pretty interesting. There is a good bit of humour that helps offset some of the darker parts of the game. Battle for Azeroth offers new Allied Races, two new continents for questing, Warfront PVE mode, Island Expeditions, and serious quality of life overhauls to world PVP. The Allied Races are probably the least interesting of the bunch, offering players the chance to roll characters of Allied Races that the Alliance and Horde have encountered over the years. These races generally offer slightly different colouring and new racial traits. New players won’t be able to access this content right away, as earning the right to play as any of the new races requires a bit of legwork to earn enough reputation and complete each race’s storyline requirements. 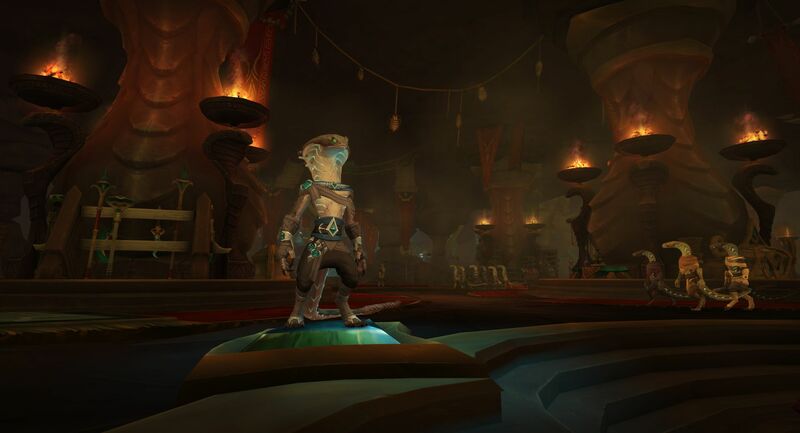 I doubt the new Allied Races are on the top of anyone’s priorities, but it will serve as a decent distraction between major post-release content updates. The leveling experience in Battle for Azeroth is excellent. The expansion offers the island of Kul Tiras and Zandalar for players to explore. Alliance will start off in Kul Tiras, while the Horde will begin their adventures in Zandalar. A good chunk of the story is located on each faction’s island, with most of the content on the other island being unlocked after level 120. I am very happy with the quest lines found on the Horde side. While there are plenty of MMO filler quests, there are also a lot of unique moments to break up the grind. Many of Legion’s optional activities such as rare monsters, treasure chests, and bonus objectives make their return. I am happy to see there are a lot less bonus objectives this time around, as it makes the areas feel a bit less grind heavy. The new dungeons do not stray too far from the Legion experience. The dungeons are designed to introduce players step by step into more technically challenging content by adding new mechanics to existing fights instead of simply ramping up the minimum stat requirements to complete more challenging content. As a former progression raider during the early years of World of Warcraft, I am thrilled to see Blizzard is continuing their efforts to ensure new players aren’t learning skills almost entirely from scratch by the time they look to start raiding for the first time. The new Warfront mode is an interesting new addition for PVE players that takes design cues from Warcraft’s RTS roots. It’s an intriguing new mode that requires one faction to work together to pool resources to attack the opposing faction’s base. During the attack, players work together to collect resources, construct buildings, and assault enemy bases. After the attack, the attacking faction now becomes the defender and has access to the Azerite war machine world boss, then it’s the other faction’s turn to assault. It’s exactly the type of brand new experience World of Warcraft players have been craving for a long while. The Island Expeditions are another new addition to the gameplay that offers semi-randomly generated maps for three players that challenges them to collect a certain amount of Azerite to win. In the first three difficulties, AI designed to mimic players will serve as the opposing team with the final PVP difficulty pitting players against each other. The open-ended nature of the maps offers some intense fights and conniving tactical options. I think the smaller three player teams are perfect for groups of friends who can’t summon up the numbers for rated battlegrounds but want something more than straight up arena PVP. The expansion overhauls the world PVP system to improve the quality of life. PVP and PVE servers are gone now, solving the age-old problem of someone not wanting to join a group of friends because of the server type. Instead, players can opt into War Mode at their respective faction’s capital city. Enabling the mode gives players access to four PVP oriented talents along with improved rewards in exchange for the ever-present risk of world PVP. 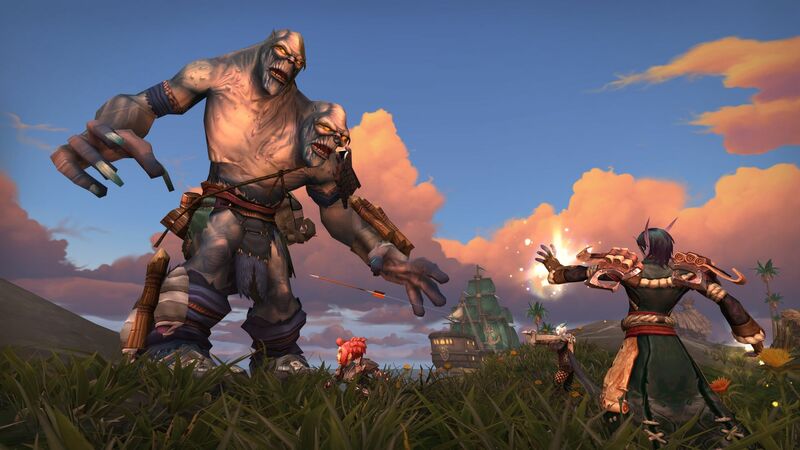 It’s a smart idea that groups players willing to get into a brawl over a questing spot and rewards them appropriately, while giving players who just want to quest in peace a safe area away from campers. The expansion also does some housekeeping to try to wrangle the ballooning numbers that are inevitable with seven expansion packs. Tweaks have been made to item levels, stats, and professions. While most players probably won’t notice the changes to item levels and the stat squish, the changes to the profession skills are a bit more confusing. A little better explanation in game would have been welcomed here. The new Heart of Azeroth and Azerite items replace the artifact weapons from Legion. While the artifact weapons were initially really interesting, seeing so many max level characters in town wielding the same weapon could get visually boring. Instead, players will carry the same necklace throughout the expansion and will also be able to loot special items that offer class specific skills based on the player’s Azerite level. Since players will be able to use multiple Azerite items, players have a good bit of incentive to chase down that one item with the skills they really need. Battle for Azeroth still isn’t perfect. The class balancing leaves a bit to be desired. Blizzard has their work cut out for them to bring specializations on even footing over the next few months. Additionally, a bit of bug stomping is still in order. While there was nothing completely game breaking, I encountered quite a few quests that needed to be completely reset due to a bug. Blizzard has implemented changes with each expansion pack to improve World of Warcraft’s graphical chops. While the graphical upgrades are subtler than Warlords of Draenor that introduced high resolution models, Battle for Azeroth shows that World of Warcraft is still holding up quite well. Stylistically, Battle for Azeroth looks great. Zandalar has an amazing exotic vibe that mixes in elements of South America and Africa. While not nearly as flashy, the slightly more conservative Kul Tiras won’t disappoint either. The audio experience in Battle for Azeroth is excellent. The sound effects continue to be solid. The voice acting is top notch, with only the rare actor falling just short of the overall high quality. The soundtrack is great. The music is subtle enough to listen to for hours on end, but still strong enough to evoke some emotion as necessary or to give an area a little bit of flair. 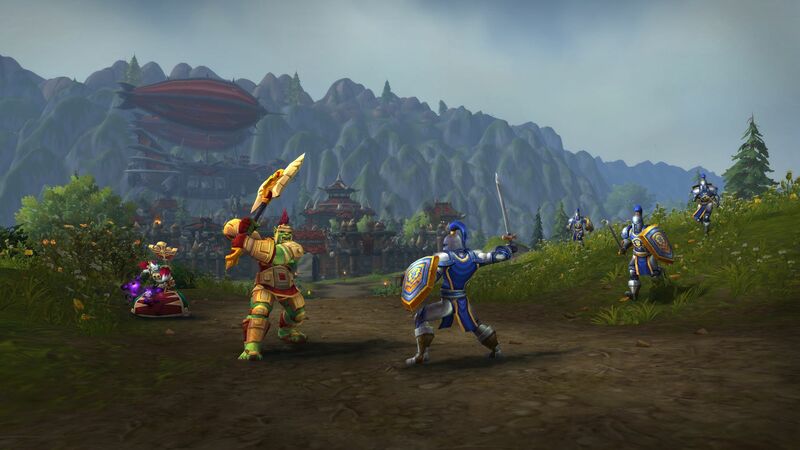 Battle for Azeroth is one of the better expansions Blizzard has released for World of Warcraft. The new zones are probably some of the best for questing and story richness. 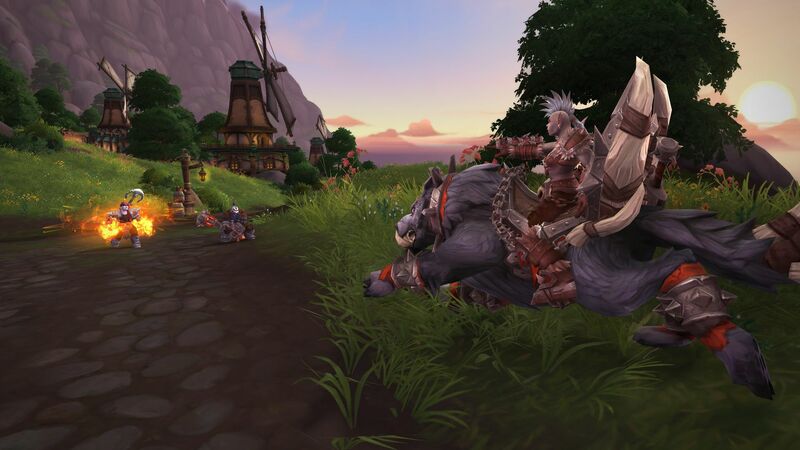 While the bulk of the expansion fine tunes a lot of the changes introduced in Legion, the new Warfront and Island Expedition modes are intriguing new additions to the franchise. Blizzard still has a bit of work to do before they release the next major content update as bugs still need to be squished and class balancing needs some work. 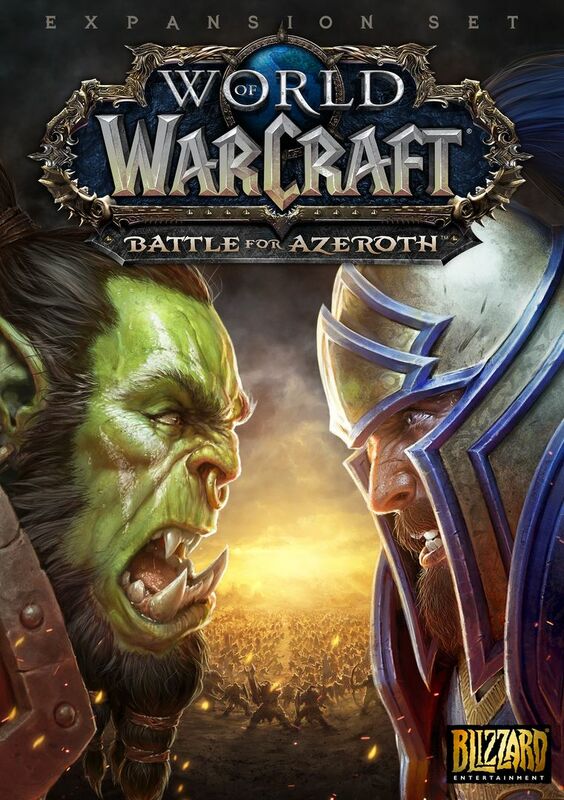 I am also unsure about the direction with the overall plot; however, Battle for Azeroth is definitely an expansion worth returning to World of Warcraft for. Battle for Azeroth will likely be remembered as one of World of Warcraft’s stronger expansions thanks to two interesting new modes and solid new zones.